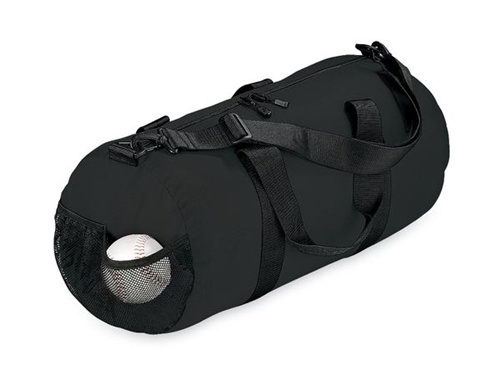 This large double zip center opening bag has black web carrying handles and adjustable/removable shoulder strap. Exterior self fabric zippered pocket and mesh pockets. 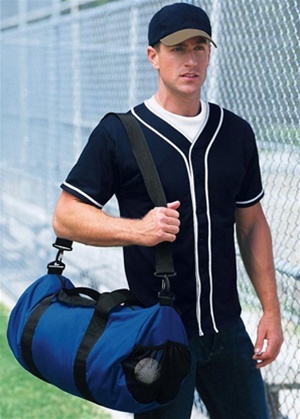 Durable 600 denier polyester fabric.